Zanyar and Loghman Moradi were transferred to solitary cells on Wednesday and according to Loghman’s father, are on a dry hunger strike. A few hours after their transfer, the public phones in Rajaie Shahr Prison were cut off without any explanation. There are fears that these tow political prisoners and Ramin Hossein Panahi might be hanged tomorrow morning. Loghman’s father said that he visited Zaniar and Loghman in Rajaie Shahr Prison a few hours ago (in what human rights activists fear is the last visit before execution) and he also stipulated that he fears that they will be hanged on Saturday morning. Locals angry over the transfer of Zanyar and Loghman Moradi to be executed, rallied outside the Marivan’s Friday prayer imam’s office. Locals angry over the transfer of Zaniar & Loghman Moradi to be executed are seen here rallying outside the city's Friday prayer imam's office. Under the hashtag #SaveXaniar_Loghman_Ramin, Iranian social-media users have called on the Iranian authorities to stop the executions. 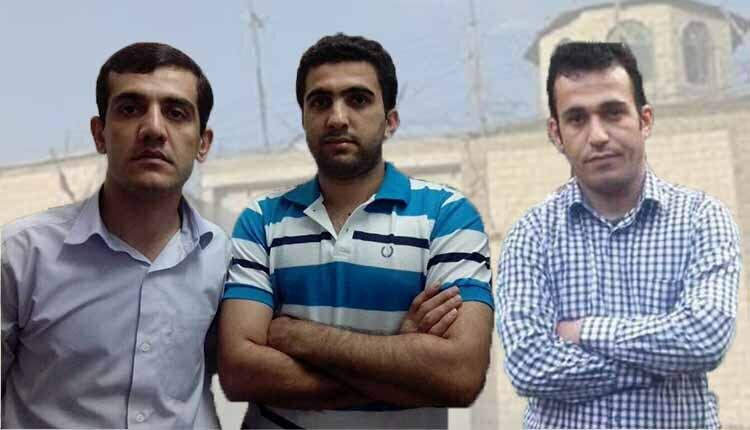 UN human rights experts have appealed to Iran to halt the imminent executions of Iranian Kurd prisoners Zanyar and Loghman Moradi, amid serious concerns that they did not receive a fair trial and were tortured during pre-trial detention. They also reiterated calls to halt the execution of Mr. Ramin Hossein Panahi. Amnesty International also called on the Iranian authorities to immediately halt the planned executions of two Iranian ethnic minority Kurds who allege they were tortured into making “confessions”. “We urge the Iranian authorities to immediately halt any plans to execute these men, to quash their convictions and sentences, and to order a new trial in proceedings that are in line with international fair trial standards. They must also investigate their torture claims and bring anyone found responsible to justice,” Amnesty International said today.